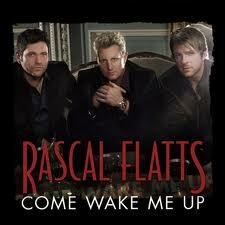 HomeSingle ReviewsSingle Review: Rascal Flatts, "Come Wake Me Up"
Single Review: Rascal Flatts, "Come Wake Me Up"
Now, imagine if “I’m Movin’ On” had reached the chorus, and a bunch of strings and bombast and general loudness showed up. It would ruin the intimacy of the song, wouldn’t it? That’s mostly what happens here. I stop at mostly because Gary LeVox has become so adept at the adult contemporary powerhouse vocals that he’s able to keep control of the proceedings, so the recording doesn’t end up a bust because Dann Huff couldn’t stop himself from 50mg generic viagra online being Dan Huff. Huff’s relentless production keeps this from being the timeless recording that it should have been. But even under all the gloss, there’s an incredible lyric and a nuanced vocal performance. It’s still their best single in a long time, along with one of the better releases of 2012 from any artist. But if there’s ever a piano-only version of this, it will forever be in my rotation. …despair must be either loud or mute, acoustically. otherwise, it just ain’t desperate enough. rascal flatts and their producer obviously seem to be leaning more toward “fists to the sky and sounds from the top of levox’ lungs” sort of desperation. why not – and i also think the chorus of this song could almost wake up the dead. nice case of what you hear is what you get. Dann Huff continues to cement his status as my least favorite producer. Other than that, a decent song and performance.